There are some movie sets that have been more dramatic than their script. 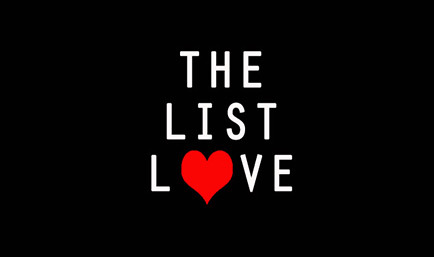 Halloween might be over, but the spookiness continues here at The List Love. Here are the 10 most cursed movie sets. The Exorcist tells the story of the possessed little girl named Regan, but it seems life off camera was nearly as spooky, if that’s possible. Not only did the media widely report that many audience members fainted or vomited after watching the movie, but a 16th century church, across the street from a theatre where the film was being shown, was struck by lightning, causing a cross to fall to the ground. The set of the MacNeil home also burnt to the ground in a studio fire – apart from Regan’s room that remained untouched by the flames. Shortly after production wrapped in the movie, Burke Dennings, who played the movie’s doomed director, caught the flu and died shortly after. Another 8 people also lost their lives by the end of the film’s production. 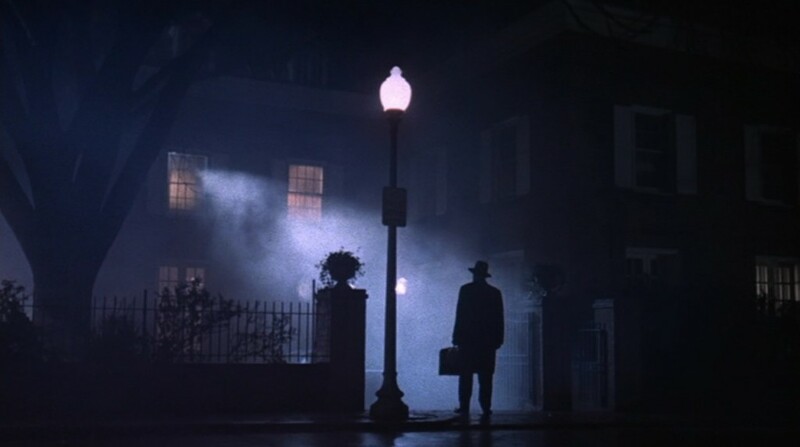 Read 10 facts about The Exorcist. 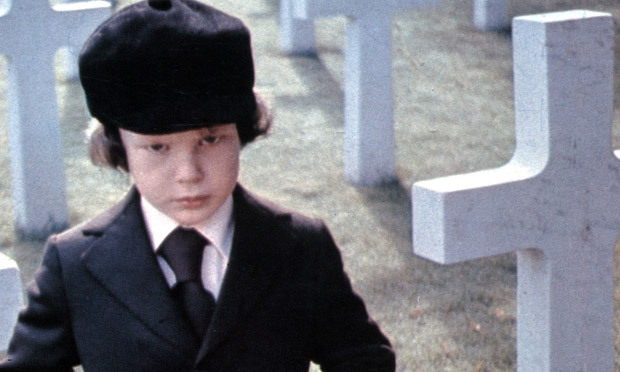 The Omen most certainly had its fair share of bad luck, with some even stating that the movie must have been cursed. The plane of the film’s scriptwriter, David Seltzer, was hit by lightning. An unfortunate accident, right? Maybe not. That’s because Gregory Peck’s plane and executive producer Mace Neufeld’s plane was also struck by lightning. Thankfully, all three men survived the attack. This wasn’t the last time Neufeld would dance with death, though. A hotel he was staying at during the movie’s production was hit by none other than an IRA bomb. An unfortunate attack that happened to occur at his hotel, you would assume. Could be. But you can’t deny it’s very strange that the restaurant the movie’s director and cast were booked to dine was also bombed by the IRA. While the cast and crew survived the encounters mentioned above, special effects consultant John Richardson was not as lucky. On Friday 13th August 1976, Richard crashed his car into Holland, and his assistant was sliced through by the vehicle’s wheel. John Richardson managed to escape the wreckage, and when he looked up spotted a sign that read Ommen, 66.6km. During filming, actor Gregory Peck’s son shot himself, while the tiger’s handler passed away. The plane that was also scheduled for use was later rescheduled and used for a commercial flight. The plane tragically crashed and killed everyone onboard. One year after making Rosemary’s Baby, the film’s composer died of a blood clot – the same way a character in the movie dies. William Castle, a producer, also suffered kidney failure soon after production came to an end, and swore the film was cursed as he cried out “Rosemary, for God’s sake drop that knife”. The curse is also mainly shaped around director Roman Polanski. In March 1969, he and his pregnant wife, Sharon Tate, moved into their new home. He bought their house from Terry Melcher, a music producer who had previously refused to record serial killer Charles Manson’s music. Manson therefore ordered the followers from his cult to go to Melcher’s home, which is where they killed Sharon Tate and her unborn baby, stabbing her multiple times. One of the cult members went as far as dipping a rag in Sharon’s blood and writing the word “pig” on the front door. The old saying goes “lightning never strikes twice” – but tell that to The Passion of The Christ’s assistant director, Jan Michelini, who was struck twice by lightning during the movie’s filming. That is some serious bad luck! 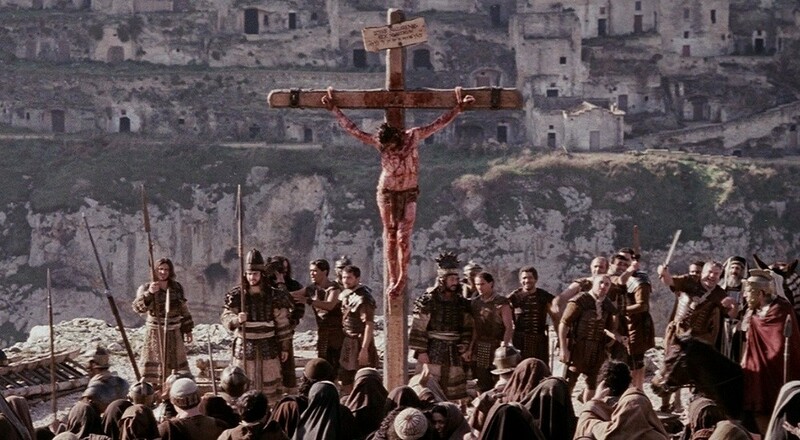 Leading man Jim Caviezel didn’t have much better luck, either, as a piece of flesh was ripped from his body during the fake whipping scene, and he also managed to dislocate his shoulder while he carried the wooden cross. Oh, and he was also struck by lightning. Smoke literally came out of the man’s ears! Witnesses later reported that his whole body illuminated as he was struck. You probably thought it couldn’t get much worse for Jim, did you? Well, he also suffered from hypothermia and a lung infection, which led to pneumonia. That’s not all, he also endured severe headaches and a skin infection from the makeup. He sounds like he was pretty cursed to us! 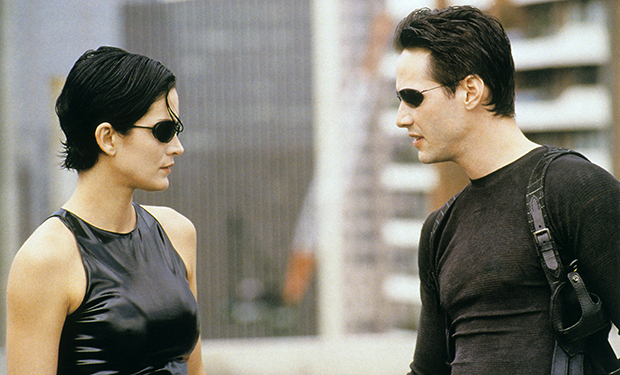 The Matrix curse impacted many members of the cast and crew. Sadly, Keanu Reeve’s girlfriend, Jennifer Syme, gave birth to their stillborn child during the film’s production. The tragic loss unfortunately resulted in their separation. Shortly after the breakup, she died in a car accident. That was not the only tragedy that would strike the cast and crew. Actress and singer Aaliyah, who was just 22 years old, lost her life in a plane crash. She was currently filming her role of Zee in the movie when she died, leading to the production being postponed for a few months. Gloria Foster, who played The Oracle in The Matrix, also passed away. That’s not all! Keanu Reeves was also transported to hospital following a motorcycle accident, and soon returned again when he sustained a foot injury on the movie set. His sister also battled with leukaemia once again, and so he was forced to abandon filming to be by her bedside. Due to the number of setbacks, the movie was close to closing down until Keanu Reeve’s waved away $24 million of his salary so they could finish filming. Comic book lovers are probably all too aware of the Batman curse. The death of Heath Ledger shocked the world. Offering the performance of a lifetime as The Joker in The Dark Knight, he died soon after his powerful performance of Batman’s nemesis. Jack Nicholson, who had previously played the role, urged Heath not to take on the part, stating it is not an easy character to play. His concern was warranted, as Heath would live on just two hours sleep a night and battled with depression, and later died from accidental intoxication of prescription drugs. 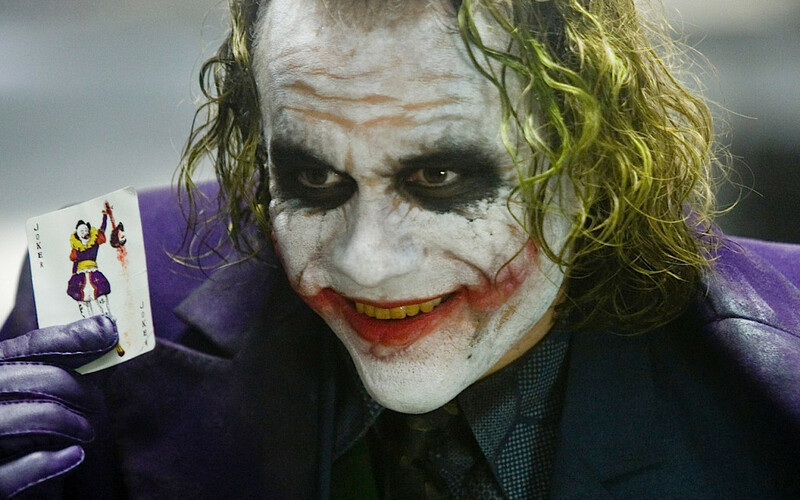 During filming, Heath Ledger wrote a Batman about his role as the joker, and eerily wrote “bye bye” on the last page, next to a photo of himself in the Joker makeup. On the set of The Dark Knight, a technician tragically died due to a trucking accident on the movie set during a stunt. When a stunt double lost her balance, she crashed into the filming equipment during a take. Fortunately she was not injured during the accident. Morgan Freeman also had a little bad luck, as he was involved in a serious car accident, and separated from his wife soon after. One of the most shocking and tragic events to happen occurred at a Century 16 movie theatre in Aurora, Colorado, during a midnight screening of The Dark Knight Rises. James Eagan Holmes acted alone when he set off tear grass grenades and opened fire with multiple firearms at the audience. Tragically, 12 people were killed in the attack, and 70 people were injured. He was arrested in the car park just minutes after the shooting; he was sentenced to life in prison without the possibility of parole. The Amityville Horror is based on the paranormal encounters of the Lutz family in their haunted house on 112 Ocean Avenue, Amityville, New York. The star of the 1979 movie, James Brolin, refused to believe the real family’s story of what happened in their home. However, when reading the script in the early hours of the morning, just as he’d reached a scary part in the story, his pants dropped from their hanger, causing Brolin to jump from his chair out of sheer fear. The 2005 remake was not without its rather strange paranormal experiences, either. Just as filming was set to begin, a dead body washed up on the shore by the movie set. Actor Ryan Reynolds also reported that crew members kept reporting that they continued to wake up at 3.15am each morning – which was the time the real murders took place. Is it a coincidence that four of The Poltergeist Trilogy’s actors died with 6 years of appearing the first movie? One of the most tragic deaths is that of child actor Heather O’Rourke who appeared in all three films and died before the third film was released onto the big screen. Other unfortunate death includes the eldest child in the first film, Dominque Dunne, actor Will Sampson and Julian Beck, who played the terrifying man in the second film. The crew might have annoyed the spirits by bringing real human remains onto the set, using the items as props. Those who have starred in the Superman franchise have suffered their fair share of bad luck since joining the movies. Whether this is a coincidence or not, we’ll never know. The first superman, George Reeves, who played the comic book hero in the 1950s TV series Adventures of Superman, was found dead with a single gunshot wound to the head. While his death was reported as a suicide, his fingerprints were never found on the gun, leading many people to believe he was murdered. 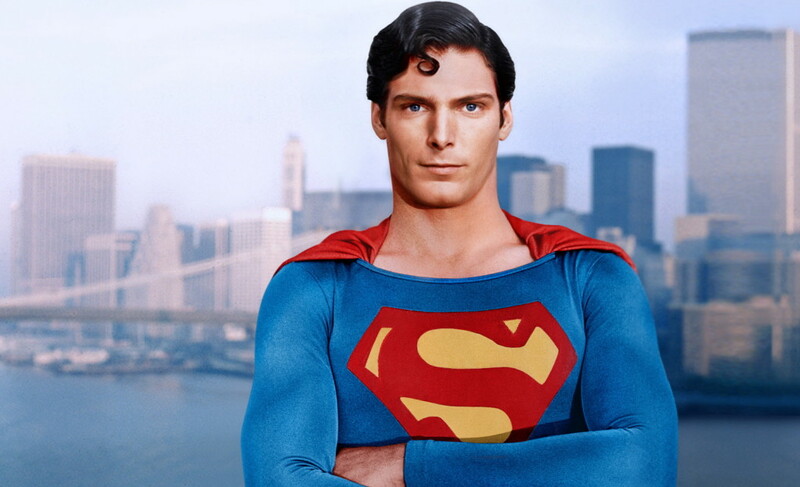 Christopher Reeves, the first actor to portray Superman on the big screen, also seemingly suffered from the Superman curse. After four successful movies as the hero, Christopher Reeves was thrown from his horse in 1995. As a result, he was paralysed from the waist down. Richard Pryor, who starred in Superman III, was later diagnosed with multiple sclerosis, whilst Margot Kidder, who played Lois Lane in the movie, was diagnosed with bipolar disorder. One of the most famous actors of all time, Marlon Brando, who played Jor-El, also withdrawn from society and put on a significant amount of weight. Superman is also thought to be career suicide. After starring in The New Adventures of Superman: Lois & Clark, Dean Cain’s career took a turn for the worst. Remember Brandon Routh, anyone? We thought not. Jeffrey Dean Morgan, the lead actor in The Possession, was a little bit sceptical about paranormal activity before he began working in the movie. However, he could not helped but be a little freaked out by the unusual activity on set, such as unexplainable exploding lights and cold breezes that would regularly run through the set – which only ever happened when the camera was rolling. One of the scariest things to happen was when the props store room caught on fire and was burnt to the ground. Here’s where the incident becomes even scarier, because an investigation found that arson or an electrical fault was not to blame. And guess what, the Dybbuk used in the horror movie was burnt in the fire. The family that inspired the movie still own the real Dybbuk box, and offered to bring it onto the set, but the cast and crew were so freaked by the unusual activity that they refused for it to be brought onto set. If you want to see some real spirits, read 10 Spooky Photographs to Make You Believe in Ghosts. Follow The List Love today on Facebook, Twitter and Google+.